Newcastle back in Europe and a mad summer of transfer speculation cut and thrust followed by an equally turbulent five matches in fifteen days for Newcastle United. Catch your breath in this international window and make sure you get hold of our new issue. Top writers discussing the ins and outs of Newcastle’s opening matches and the impact of NUFC’s transfer strategy, not to mention the small matter of Geordies once again on the march into Europe. 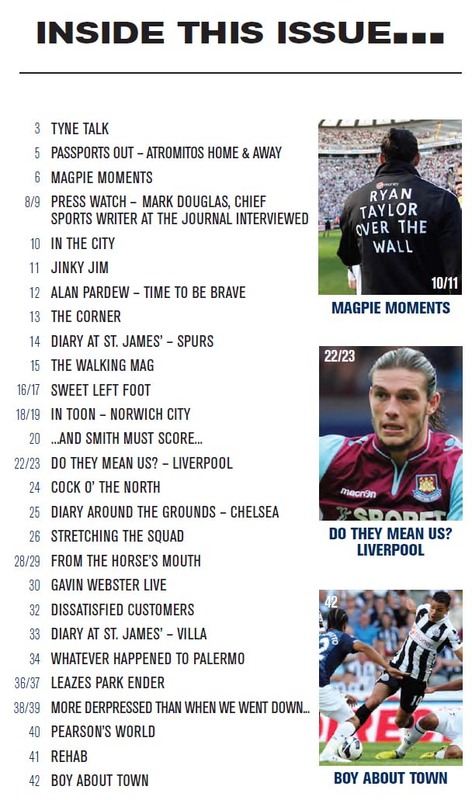 The essential magazine if you love NUFC, finding reason in the madness of what we all love – Newcastle United. Read it all in this great issue! Available at all good north east newsagents and online here in The Mag Shop for delivery worldwide.